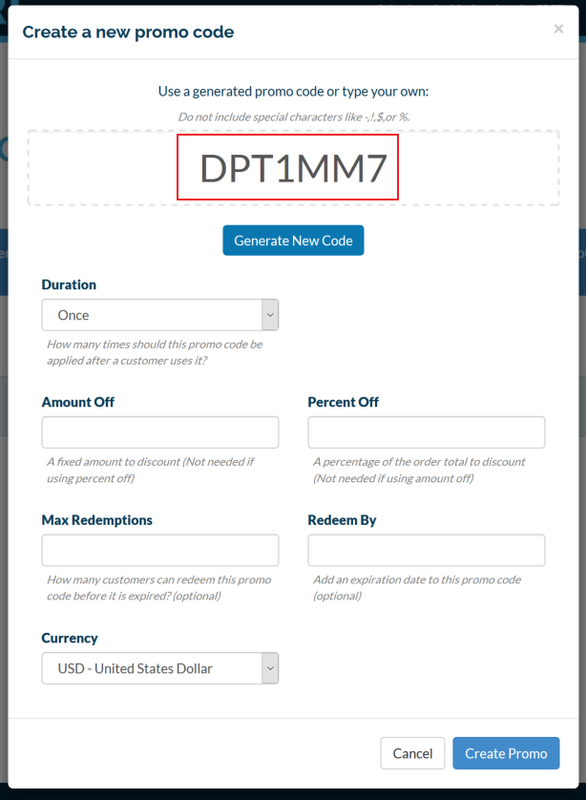 A Promo Code is a "Digital Coupon Code" that customers can enter to get a specified discount on a payment. Promo codes can be a "one time" discount or they can be applied on a recurring payment plan. Keep in mind the promo codes apply to the total sale price. For example if you have a $20 set up fee and a $50 per month subscription a $10 off promo code would result in a $60 total price for the customer (50+20=70 then $10 off=60). If you use a 10% promo it would result in 7$ off and the customer would pay $63 for their first charge (50+20=70 * 10% = $7 off then 70-7=63).